The work week starts with drama! Call the Midwife follows the nurses, midwives and nuns from Nonnatus House, who visit the expectant mothers of Poplar, providing the poorest women with the best possible care. Season 8 picks up in the Spring of 1964, when two new Sisters are sent to live and work with the team in Poplar. Nonnatus House feels full once again. Read Call the Midwife episode recaps on Thirteen.org. Stream episodes online here. This adaptation of Victor Hugo’s masterpiece on love, death and the struggle for social justice in 19th-century France stars Dominic West (The Affair, The Wire) as fugitive Jean Valjean, David Oyelowo (Selma, A United Kingdom) as his pursuer Inspector Javert, and Lily Collins (Rules Don’t Apply) as the luckless single mother Fantine. Also part of the star-studded cast are Oscar-winning actress Olivia Colman (The Crown, Broadchurch, The Favourite) as Madam Thenardier, and Josh O’Connor (The Crown, The Durrells in Corfu) as Marius. 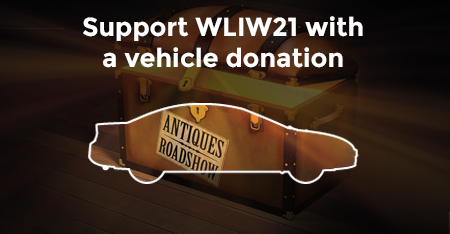 Stream episodes for two weeks after broadcast online here or become a member of WLIW21 and watch all episodes on demand, starting April 14 with the WLIW21 Passport. Mondays at 10 or 10:04 p.m. When a 16-year-old girl’s remains are discovered, detectives Cassie and Sunny work to track down the killer. The investigation leads to a tight-knit group of four old school friends whose bonds are put to the test when they find themselves under suspicion. A six-part season. WLIW21 members can stream this entire Masterpiece series now with the member benefit WLIW21 Passport! See our British programs on Tuesday night, Friday night, and Saturday night, too! 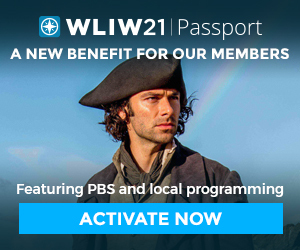 WLIW21 members can stream Masterpiece series like Mrs. Wilson and Endeavour with WLIW21 Passport at any time!